The Lyre was a musical instrument used in Ancient Grece to accompany singing or recitation of poetry or prose. The Lyre represented the underlying numerical harmony of the universe Orpheus, musician to the Gods, enchanted all animals through his playing of the lyre and even succeeded in calming a storm-tossed ocean. The lyre’s seven strings corresponded to the seven known planets, and its sides to the relationship between heaven and earth. Three Graces is the most prestigious destination for all body, beauty and lifestyle needs. It offers its clientele the most modern and advanced services in a luxurious environment. Its services, however, are rooted in a timeless concept- Grace. Back around 600 BC, ADONIS brought siz-packs into fashion. And they have been ever since. As an untiring model for youthfulness, Adonis has been the epitome of the perfect body for artists across generations. The grace with which he holds his poses could teach today’s supermodels a thing or two. Love your own body, and you’ll find more to love in the world. 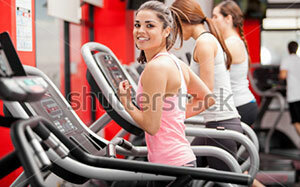 Three Graces fitness centre spread over 5000 square feet area with state-of-the-art equipment and world – class trainers. Our unique body management program is based on the principle of holistic health that India has never witnessed. By understanding the different needs of people, working on the latest and globally researched technologies and under the supervision of our highly qualified experts we offer the following principles. Maintenance and Supervision Post Weight Loss. Three Graces have the most advanced therapies like Isogei therapy, Debussy therapy, VIP Complex therapy with the most advanced machines like VibroGym & Attitude Training System. What makes APHRODITE the eternal symbol of beauty? Is it the curves of her smile or the grace with which her hair falls? Maybe it is the fingertips, those long, slender fingertips. Or maybe it is none of these and all of these at the same time. These beauty rituals are designed to cater your everyday needs. These are specialized rituals that are designed to cater to your specific skin, hair and body needs. We believe that expert analysis is the key for creating innovative solutions and for that we bring the latest in technology skin analyzer-Visia & world’s best international products like Germaine De Capuccini to keep you one step ahead of your skin problems. With India’s first ever hair analysis system- The Capilloscope & world’s best brands like Rene Furterer all your hair & scalp needs would be taken care of. With world’s best brands like Spa rituals we offer services from luxurious Whirlpool pedicure/manicure to specialized hand & feet massages. We at Three Graces believe in leaving no stone unturned to give you the everlasting youth and the joy of looking your graceful best. Hence we bring to you the magic of age defying therapies done by the world’s best beauty doctors to help you get rid of those signs of aging and the lost charm. Three Graces brings to you US FDA approved technologies like Thermage, fraxel for the first time in India. Good health and wellness is the greates luxury of all. At Three Graces, we combine modern technology with ancient wisdom to offer holistic lifestyle solutions that heal, both physically ab=nd spiritually. The inspiration for Spa at Three Graces comes from no other than its own family member, the finest spa in the world-Amatrra Spa. Three Graces brings to you for the first time a professional Aromatherapy and wisdom of ancient Ayurveda to take you away from the negative effects of the fast paced and ever demanding modern day lifestyle. Three Graces offers Aromatheraphy based treatments that use essential oils and other aromatic compounds for holistic well being. This age old therapy creates harmony in life by addressing mental and physical state of the being. It uses pure and natural essentials oils in two distinct ways-through smell and through external application. We use a synergistic blend of relaxing, calming and nervine essentials oils in carrier oil which is suitable for your skin type i.e dry, oily, or sensitive. Application of Aromatherapy is done in Body Wraps, Body Scrubs/Body Polishers, Face Therapies & Hair Therapies. Through our personalized consultations, therapies and lifestyle management programs to meet individual needs and health goals, Three Graces stives to work on three basic principals: Prevention of disease & energy imbalances, Preservation of health & promotion of longevity, & a healthy lifestyle and good health. Our International relaxing therapies include traditional European, Swedish, Oriental and Lymphatic drainage therapies which help to relax the muscle, improve immunity system and blood circulation thus relieving stress and reduce toxins.